Streamers are pulling off flashy plays with the new weapon. Fortnite’s v8.20 Content Update was released a few hours ago, but streamers and professional players have already got the hang of the patch’s new weapon, Explosive Bow. The Explosive Bow is a Legendary explosive weapon that uses Shotgun Shells. It deals 15 damage upon impact and 100 explosion damage around the impact area, which means players can one-shot opponents who have no shield when using the bow. The area of effect of the explosion is small, but it’s enough to kill a player standing near a wall hit by an arrow. Related: Fortnite’s Peppers are better after the v8.20 Content Update, but they’re still bad. Tyler “Ninja” Blevins pulled off an impressive kill with his first use of the Explosive Bow. He picked it up after eliminating an opponent and a few moments before he spotted another one. He got to high ground and hit one headshot first and finished them off with the arrow’s explosion after dropping from his structure. Ninja’s friend and fellow streamer Benjamin “DrLupo” Lupo already got a flashy kill with the Explosive Bow as well. He spotted a player in a tree and shot them first with a Heavy Sniper to make them fall. Only a moment before his opponent touched the ground, DrLupo hit them with a perfect arrow to finish them off. Jimmy “HighDistortion” Moreno, the first Fortnite player to reach the 100,000 eliminations milestone, used the Explosive Bow as a game-finishing weapon. He was in a two-versus-one situation and managed to down an opponent with his Assault Rifle. He built toward the downed opponent, spotted the second one below him, and used the explosion of the arrow to eliminate this last player and win the match. But Brett “dakotaz” Hoffman is the one who got the most impressive play with the bow so far. He got one in the early game of a Sniper Shootout match on Dusty Divot, getting four kills in less than a minute by mixing body shots and kills with the explosion damage. This is what Fortnite streamers have already accomplished with this new weapon in just a few hours. 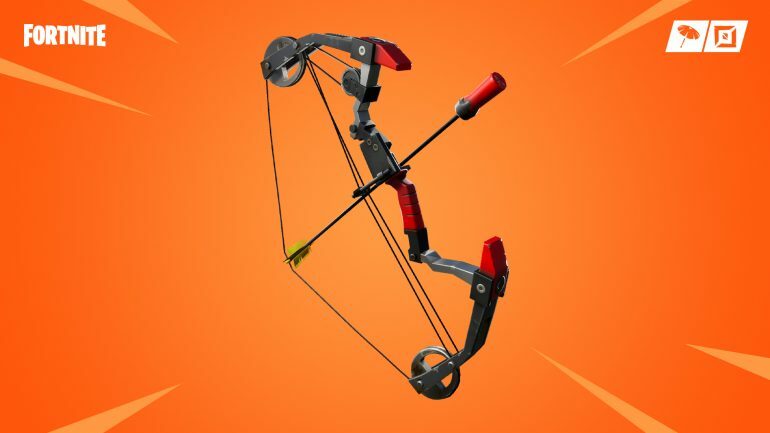 Fans will probably see even more ridiculous plays once pros find out new ways of using the Explosive Bow to dominate their matches.